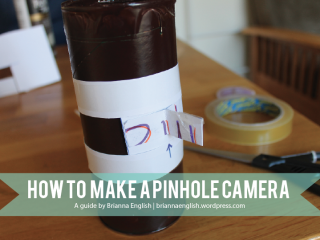 Pinhole cameras are fun and easy to make and allow the opportunity to slow down and practice photography composition skills. The simple cameras are made out of mostly recycled materials and take stunning, unique black and white photographs. Visit my blog to view or download the how-to and read a lesson plan for how the cameras can be used to teach photography composition in a yearbook, photography, or media class. This work by Brianna English is licensed under a Creative Commons Attribution 4.0 International License.